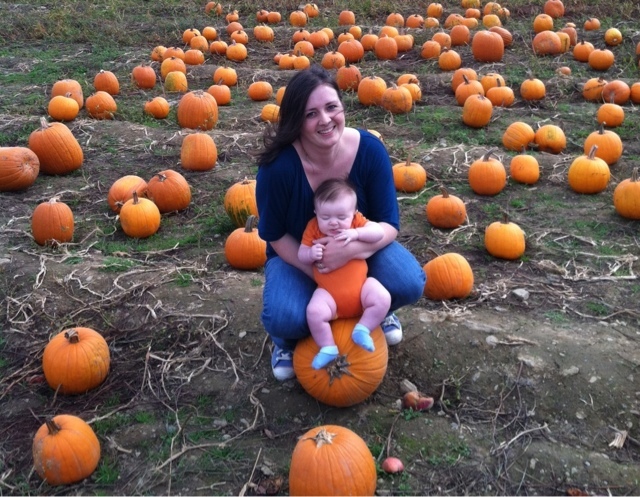 This past weekend we met up with some girls in my mommy group, along with their husbands and babies. 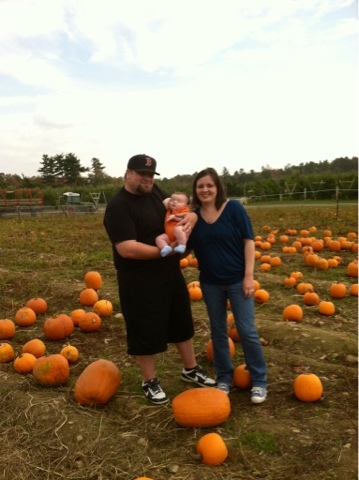 We went apple picking and walked through the pumpkin patch. Well, Max runs hot. I'm not sure if you're familiar with the term. He is usually warmer than everyone else, and he doesn't like being hot. He sweats easily and needs to be dressed the same as us. Most babies are supposed to wear one more layer than the adults. Not this little guy! So, back to this past weekend. It was a beautiful fall day, and we brought Max in a short-sleeve (we knew better than to put him in long sleeves) onesie and pants. We brought a fleece in the bag if he got cool. All of the babies were due in June 2012, so they're roughly the same age. They were all in sweaters or fleece coats. Our little guy starts fussing and getting all mad at me about thirty minutes in. Why? Because he's hot. So I had to take his pants off (maybe e just wanted to show off his cute cloth diaper?). I had to carry around a baby in just a onesie while all of the kids in the place were dressed in long sleeves and looking all bundled up! My baby was warm and happy, but it just looked so funny. What can I say, he runs hot! He fell asleep shortly after having his pants come off, I guess he was VERY comfortable. 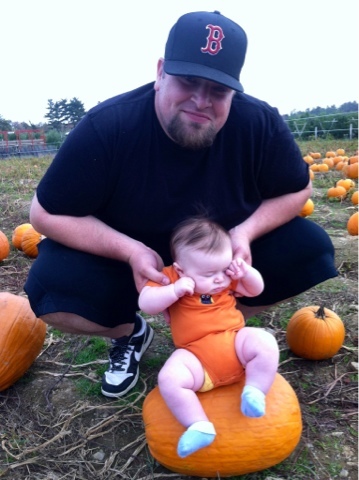 We took pictures with the pumpkins even though he was sleeping. We didn't have the heart to wake him up. I was able to catch him with his toes in his mouth!! He's been trying this for a few weeks now, but he finally got his foot in there! 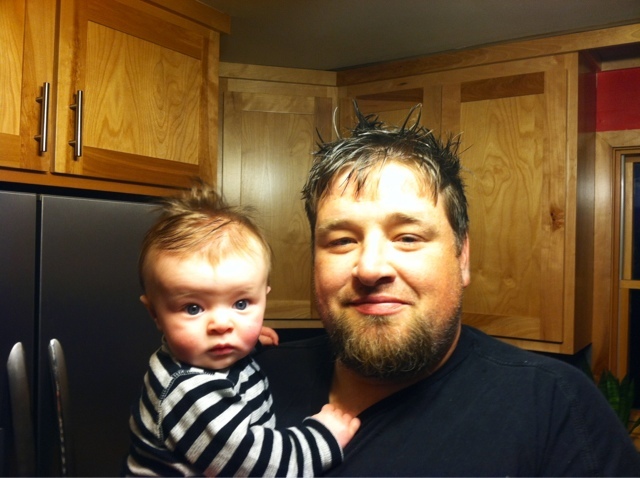 Bonus picture: daddy and Max, with their matching spikey hair! When Max nurses right after his bath, this happens. The little guy loves to hold handfuls of his hair while he eats, so it dries standing up. Super cute! !